The 'window' structures were repainted by Brankin Decorators after they were recommended Teamac Metalcote by Teamac stockist Allison & Stiven. The structures themselves were built in the 1990s. The arches frame the views in the park as well as providing a place for visitors to sit. 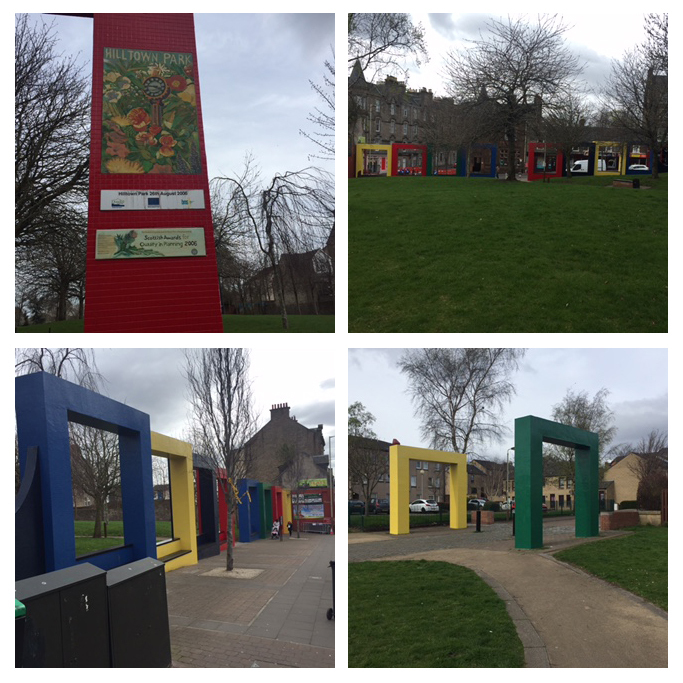 The structures came under threat of being demolished in 2014 after being hit by vandalism, but have now been repaired to provide a colourful backdrop to the leafy park. Teamac Matalcote is a traditional coating that was originally designed for tractors and other farm machinery due to it's hard wearing nature. However, it is also ideal for use on wooden, metal and other substrate structures that require high durability.